MELBOURNE, Australia, Oct. 19, 2015 -- FrontStream is a leading provider of integrated philanthropy solutions for nonprofits across Australia and New Zealand and is pleased to announce the launch of BiddingForGood. It has never been easier for Australian and New Zealand organisations to manage a live, silent or online auction! 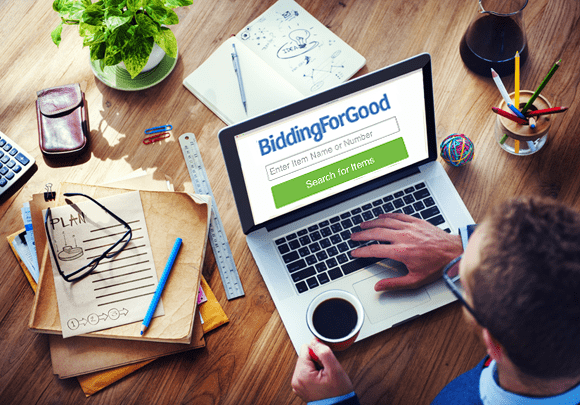 BiddingForGood is the most widely recognised platform in the world for online auctions, mobile bidding, in-kind donation management, and event ticketing. Auctions often go hand-in-hand with galas or special events. Auction Manager Pro makes event management simple for nonprofit professionals. Many charitable organisations benefit from generous donations of office supplies, travel points, discounted services, and other similar gifts from their corporate partners. BiddingForGood's AIRS system is the most efficient way for CSR teams to manage these donation requests. AIRS allows charities to visit a business's custom donation page and easily submit a request for in-kind donations or sponsorships. Integrated sponsor management tools ensure that charities can keep track of sponsors and recognise corporate generosity on event day. Best of all, BiddingForGood tools are integrated with the popular FrontStream GiftWorks CRM, ensuring that donor data is all in one place. "We know that the Australian and New Zealand nonprofit sectors struggle with separate software platforms that are not configured for their needs. FrontStream's solution ensures a flawless event management experience, making life so much easier for administrators. With FrontStream's system, good causes can spend more time focusing on what they do best: Changing the world," states Nina Vellayan, President and Chief Executive Officer of FrontStream. To learn more please join us for a special webinar on Thursday, October 29th at 12:30PM AEDT. We'll answer your questions and show you how BiddingForGood can increase your year-end fundraising!